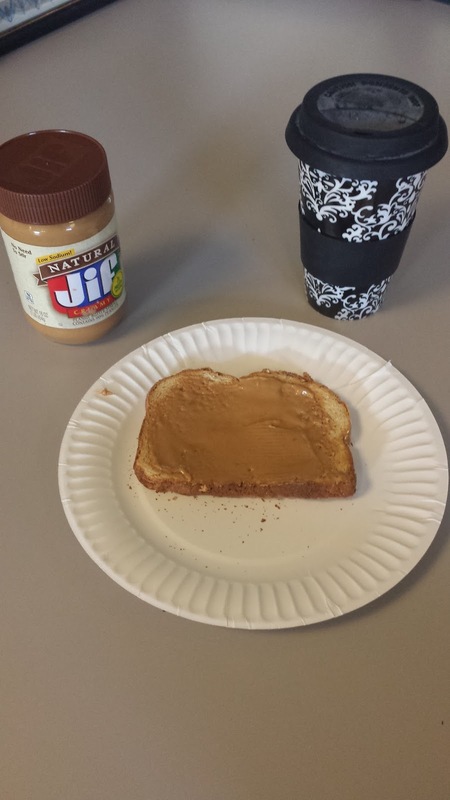 Breakfast was coffee (of course) and a piece of oat nut wheat toast with natural Jif Creamy peanut butter. For those of you who eat low FODMAP this is such a great option. 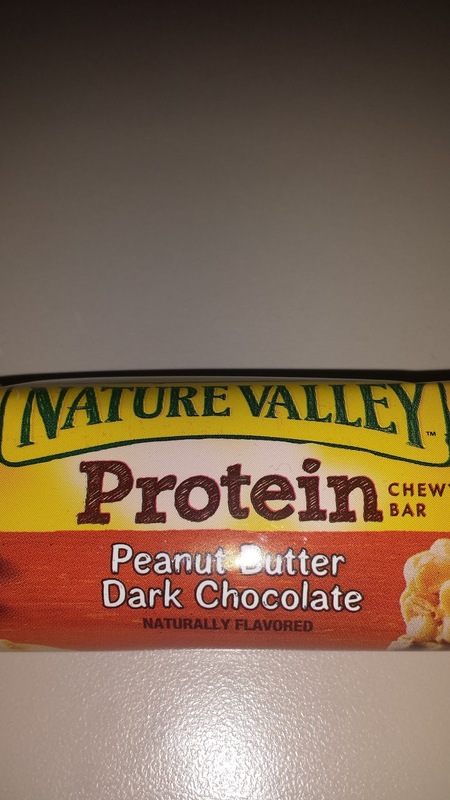 It does contain some sugar which isn't the greatest, but it's a great source of protein! Lunch was a Turkey and Colby panini with sweet potato BBQ flavored chips. 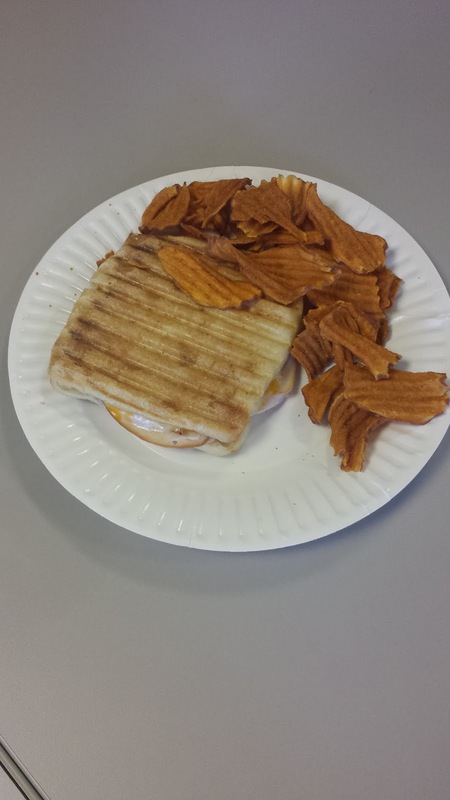 I love grilled sandwiches and my amazing parents got me a panini press a couple of Christmases ago that gets much use and love! I use Hillshire Farm's Naturals slow roasted turkey breast and colby jack cheese and today I put them on a ciabatta bun. It was so so so good. And these chips by Terra? Literally the best chips I've ever had! To drink, I just had water. I generally drink 10 to 12 8oz glasses of water a day. 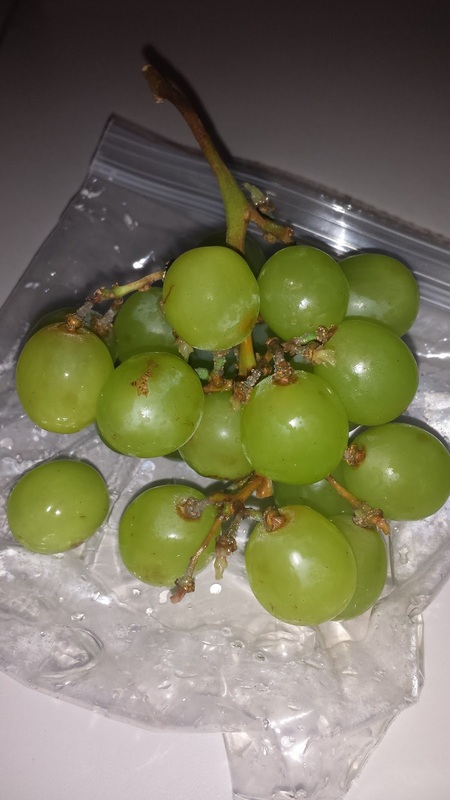 For a snack and to satiate my sweet tooth I had a bunch of grapes. Since they're in season right now they are one of my favorite snacks and perfect for keeping my sugar cravings at bay! I usually crash on my hour long commute home and by the time I walk through my front door I never have the energy to do much. Since I only have time to work out after work (otherwise I'd be getting up at 3 am, and let's be honest, that ain't gonna happen) I eat a protein bar or have a protein shake to give me some energy. We saw a nutritionist recently who said prior to working out, eat a snack with both carbs and protein to give you the pep you need. This Nature Valley one in peanut butter and dark chocolate isn't my favorite, but it gets the job done. We ended up having to go to Ikea after work so we just ate there. 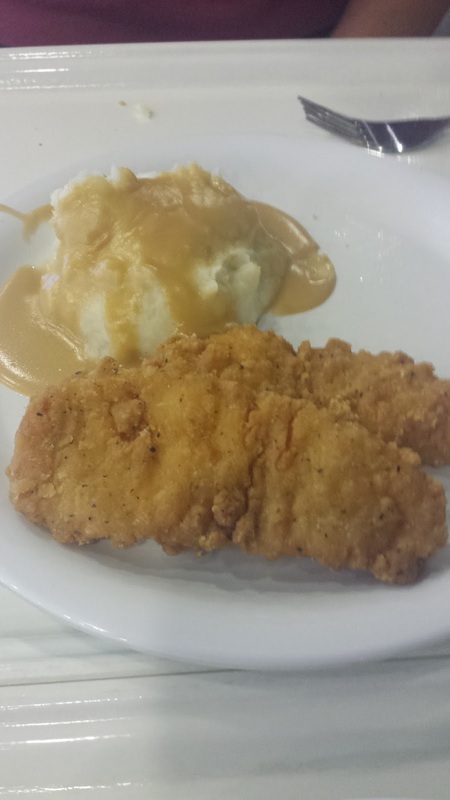 I got the chicken fingers and mashed potatoes with gravy. Not the healthiest meal ever, but that's life right? 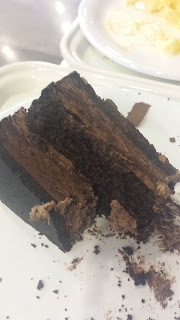 Don't ask me how that chocolate cake got on my tray but I had a few bites before I remembered to take a picture. Oops, sorry about that, but I don't think any of you can blame me! I hope you guys had an amazing Wednesday!